Essential oils can relieve cold and flu symptoms, such as headaches, bodily aches and pains, fatigue, congestion and stuffed up airways. Furthermore, essential oils can be used as a natural disinfectant to kill germs on surfaces, such as counters and doorknobs, and in the air of each room. Let's discuss the best and most effective essential oils for colds and flu relief, along with explaining how you can use the oils in natural remedies along with homemade blends. Microwave a dampened washcloth and the add several drops of frankincense essential oil to it. For headache relief, add several drops of lavender essential oil. Oregano is a super powerful antiviral and antimicrobial essential oil. In fact, a recent study shows that oregano essential oildramatically reduces symptoms of upper respiratory ailments including coughs and sore throats. Sublingual Administration: Place a few drops under your tongue ─ only if you have a top-grade, pure, ingestible form of oregano essential oil or oil of oregano ─ place a few drops under your tongue and let them absorb for a least 30 seconds before swallowing. 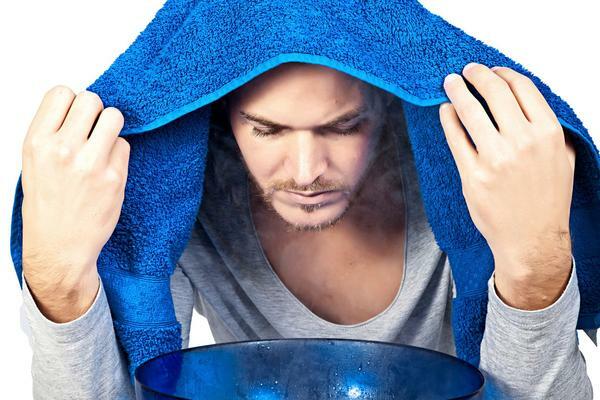 This method can provide immediate relief of your cold symptoms. Here are suggested ways for ingesting oregano essential oil safely. 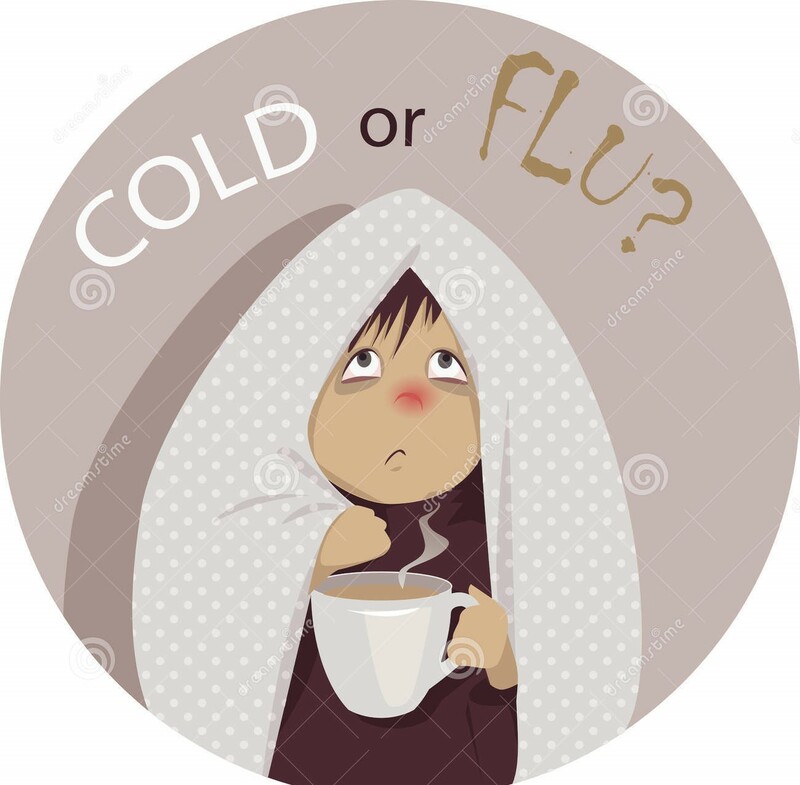 We all know the feeling ─ fatigue, the chills, bodily aches and pains, headache, congestion, sneezing and coughing ─ it's a cold, or maybe worse yet, the onset of the flu. Before you reach for over the counter, synthetic cold medicines with many side effects, why not try a natural remedy instead? Using essential oils for colds and flu relief is a potent and effective, all-natural treatment and an excellent way of alleviating your symptoms. Furthermore, you can use essential oils to prevent cold and flu viruses from settling in by eliminating the viruses in your home, office and car, and by strengthening your immune system with an all-natural boost. The common cold is mainly spread through the air and can be the result of over two hundred various viruses which attack the respiratory system. There are ways to lessen your chances of getting sick, however, such as washing your hands often, avoiding touching your eyes, nose and mouth, and evading sick people as much as you can. Another means of prevention, treatment and eliminating the spread of germs is by using essential oils physically, in the air, and on surfaces in your home. Furthermore, essential oils are great for boosting your mood and the mood of others, helping you to relax, and relieving stress and anxiety that can come along with being sick. As a Cough Remedy: Administer 8 - 12 drops of tea tree essential oil on your sinuses and neck areas. As a Disinfectant: Add 25 drops of tea tree essential oil to a 16 oz spray bottle filled with water. Spray and wipe all surfaces in your home, especially those that have been in contact with sick individuals. Furthermore, spray doorknobs, light switches, remotes, keyboards, bathroom and kitchen fixtures, and any other object that is often touched and shared amongst family members. It's also good to mop hardwood floors with this blend, and you can add lemon or pine essential oils for scent. Lavender essential oil is a favorite scent amongst the essential oils and has been so for centuries. Lavender has a refreshing aroma; the stems and leaves give camphoraceous notes that are often softened by floral sweetness from the flowers. Lavender essential oil brings deep relaxation and encourages compassion and gentleness. It's a wonderful healing oil which is a natural pain reliever, anxiety reducer, treatment for insomnia and is good for skin ailments. All of these blends with lavender essential oil are also useful for relieving anxiety while you're are feeling down. Lemongrass essential oil is traditionally used in Ayurvedic medicine to help to lower fevers and calm the nervous system. Traditional Chinese Medicine recommends lemongrass essential oil to ease stomach pains and also to relieve headaches, colds, the flu and rheumatism. *Note that lemongrass essential oil is a moderate irritant so make sure to do a skin patch test to be sure it won't agitate your skin. Lemongrass is phototoxic, as well, so avoid use in the sunlight. Furthermore, it is best only to use 2 drops in your bath water as it can sting. To Help Lift the "Foggy" Feeling: Inhale lemongrass essential oil straight from the bottle or place a few drops on a tissue or your pillowcase. Peppermint essential oil has a cooling, pungent, menthol aroma with clean, sweet top notes. This oil revives depleted energy and enhances positivity. It can help to improve concentration and battle fatigue, as well as sooth nausea and upset stomachs. Because of its high concentration of menthol, peppermint essential oil for colds and flu relief is ideal because menthol is beneficial for treating congestion, stuffed up airways, and relieving bodily aches and pains. Furthermore, peppermint essential oil has a mild warming effect which feels great when used on sore muscles. *Peppermint essential oil can be a slight sensitizer, so be sure to perform a patch test before using this essential oil topically for the first time. There are two types of cinnamon essential oils: bark and leaf. Both types of the oil come from the same tree, one from the bark and one from the leaves, and both have similar properties. However, we recommend cinnamon leaf essential oil for use in aromatherapy as it has milder results. *Cinnamon leaf essential oil can still be a mild sensitizer, so be sure to complete a patch test before using it topically. Cinnamon trees are not only famous for their spice and flavoring but also for their medicinal properties which have been used for centuries to help digestive, circulatory and immune-deficiency problems. Cinnamon Leaf essential oil has anesthetic, antiseptic, antimicrobial and antioxidant properties making it an ideal essential oil for colds and flu relief. The clove tree is an intensely aromatic, evergreen tree from Indonesia, producing the clove "nails" that are so well-known as a spice. For centuries, dried cloves have been chewed on to release their essential oils which have a strong numbing effect on toothache and gum discomfort and is still used as an antiseptic, pain relieving remedy today. The essential oil from ripe cloves is too strong to use in aromatherapy, but the unripe buds of the flowers produce an oil that is gentler, yet still wonderfully fresh, warming and spicy. Clove bud essential oil has antimicrobial, antifungal, antiseptic, antiviral and stimulating properties. Clove oil is used for treating a variety of health disorders including toothaches, indigestion, coughs, headache, aching muscles, stress, blood impurities and asthma. *Clove essential oil can be mildly irritating, so perform a patch test before use and only use a couple of drops in bathwater if you have sensitive skin. Like all citrus species, grapefruit contains special sacs in the peels which are filled with essential oil. *Grapefruit is phototoxic, so avoid it if you are going out in the sun. Grapefruit essential oil is known to ease nervous exhaustion, to relieve indigestion, is detoxifying and clarifying. Properties include:diuretic, disinfectant, stimulant, antidepressant, antiseptic and lymphatic. Sandalwood essential oil is perfect for easing mental stress and burnout. It's a natural calming, relaxing and healing oil. It has astringent, antiviral, antiseptic, anti-inflammatory and expectorant properties making it an ideal essential oil for colds and flu relief. Basil essential oil is a well-known cooking herb used in Italian recipes. Apply basil essential oil to fatigued or sore muscles and joints to relieve swelling and pain. Apply topically or diffuse basil essential oil to promote clear breathing and reduce congestion. Use basil essential oil topically on the soles of the feet or by diffusing it into the air to fight mental and body fatigue. It also can be used to treat indigestion and nausea. * Basil essential oil should be avoided during pregnancy and is a mild sensitizer so perform a patch test before using topically. Juniper berries are known for making Gin and also are renowned in Western herbal medicine as one of the most diuretic and detoxifying of all remedies with a powerful effect on the kidneys. For aromatherapy, be sure always to choose the oil from the berries as opposed to the twigs because it is inferior. Juniper berry essential oil has antiseptic, antirheumatic, depurative, antispasmodic, stimulating, stomachic, astringent and diuretic properties. *Do not use juniper berry essential oil if you are pregnant. Plants from different locations produce thyme essential oil with various chemical constituents; these oils are known as "chemotypes." One of the safest and most effective chemotypes is thyme linalool, from France. The other type of thyme is red thyme and can be more of an irritant for the skin. Check the bottle's label to know which kind of thyme you are purchasing. This amazing plant is the giant of the sages. The flowers are so sticky with fragrance, that if you touch them, the essential oil clings to your skin. Clary sage is a diverse oil with tons of health uses and properties such as: antidepressant, anticonvulsive, antispasmodic, antiseptic, astringent, bactericidal, carminative, deodorant, digestive, emmenagogue, hypotensive, nervine, sedative and stomachic. * You should avoid clary sage if you are pregnant. Ginger is a natural digestive stimulant and also is good for treating colds, coughs, the flu, rheumatism, aching muscles and joints, and even malaria. Fresh ginger is very warming and helps so fight viral infections by slightly raising the body temperature which makes it harder for viruses to survive. *Ginger can be mildly sensitizing so perform a patch test before using for the first time. Rosemary is cultivated all over the world as a cooking herb and for its medicinal uses due to its high camphor content. The ancient Greeks burned branches of rosemary as incense as its high content of essential oil makes a superbly fragrant smoke. Rosemary essential oil is good for relieving cold and flu symptoms because of it is a warming oil, reduces aches and pains, aids in circulation, and relieves nausea. *Avoid rosemary essential oil if you have epilepsy as its high camphor content can cause seizures. Also, do not use this oil during pregnancy. Cypress trees belong to one of the oldest plant families on the earth ─ the Cupressaceae, which is some 17 million years old. Cypress is an excellent essential oil for colds and flu relief because of its anti-toxic effect. It's also antispasmodic and a natural anti-inflammatory. Add tea tree essential oil for further microbial cleaning. Please bear in mind that before using essential oils topically, they must be diluted with a carrier oil. If you are not sure how to use essential oils for cold and flu relief, ask for the advice of your doctor or a licensed natural health practitioner. If you are pregnant, suffer from hypertension or have epilepsy, you should avoid rosemary and clove bud essential oils. Again, ask your doctor of any questions. Remember that essential oils with a citrus note are sensitizing and phototoxic, so use these oils sparingly, especially if you are going outdoors. Although reactions are rare with proper use, always perform a patch test before using a new essential oil to ensure you will not have an allergic response to it. In conclusion, we here at Fenland Forager, hope that these essential oils for colds and flu relief will help to alleviate the uncomfortable feelings of nausea, aches, pains and discomfort, congestion, fatigue and anxiety that you experience when you are feeling ill.